Dr. North Cooc's research focuses on inequality in the experiences and outcomes of individuals with disabilities at three developmental phases. This includes using quantitative research methods to examine (1) who is first placed in special education, (2) how the learning trajectories of students with disabilities change over time while in school, and (3) what type of postsecondary outcomes students achieve after they leave school. His research has explored how family background, culture, and school contextual factors influence decisions and outcomes within special education. 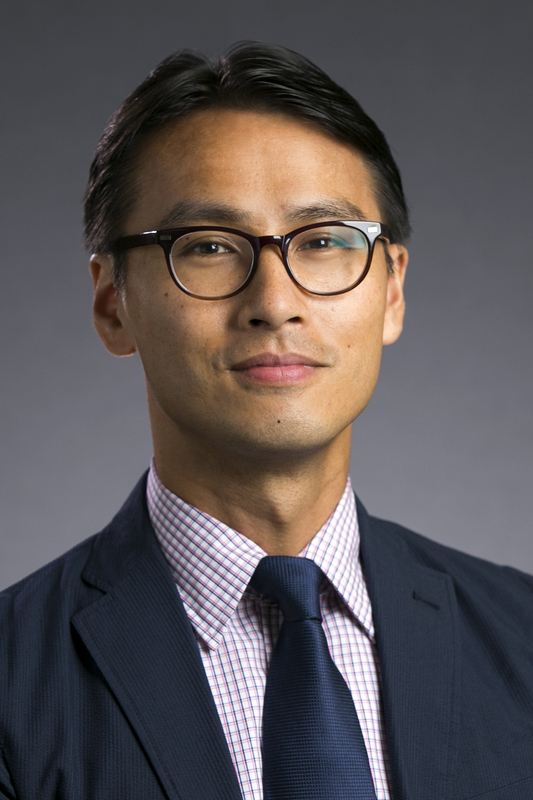 Dr. Cooc's other research interests include English learners in special education, international and comparative special education, and Asian Americans in education. His research has appeared in Educational Researcher, Journal of Educational Psychology, Journal of Special Education, Exceptionality, Journal of Adolescence, and AERA Open. 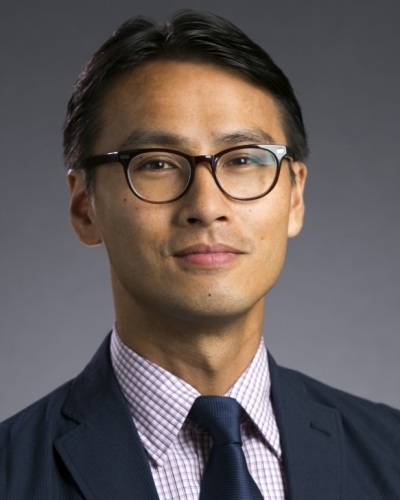 Prior to UT and graduate school, Dr. Cooc worked in education research and conducted evaluations of afterschool programs and literacy initiatives at Policy Studies Associates in Washington, DC. He also taught middle school English in Shizuoka, Japan through the Japan Exchange and Teaching Program. Park, J., Lee, I. & Cooc, N. (2019). The Role of School-Level Mechanisms: How Principal Support, Professional Learning Communities, Collective Responsibility, and Group-Level Teacher Expectations Affect Student Achievement (Online First). Educational Administration Quarterly. doi:https://doi.org/10.1177/0013161X18821355. Gee, K. & Cooc, N. (2019). Will I Be Victimized at School Today? How Schools Influence the Victimization Experiences of Asian American Teenagers (Online first). Asian American Journal of Psychology, 1–10. doi:https://psycnet.apa.org/doi/10.1037/aap0000155. Cooc, N. (2019). Disparities in the Enrollment and Timing of Special Education for Asian American and Pacific Islander Students (Online First). Journal of Special Education. doi:https://doi.org/10.1177/0022466919839029. Cooc, N. (2019). Teaching students with special needs: International trends in school capacity and the need for teacher professional development. Teaching and Teacher Education, 83, 27–41. doi:https://doi.org/10.1016/j.tate.2019.03.021. Daniel, J. & Cooc, N. (2018). Teacher perceptions of academic intrinsic motivation for students with disabilities. The Journal of Special Education, 52(2), 101–112. doi:https://doi.org/10.1177/0022466918765276. Cooc, N. (2018). Understanding when teachers disagree about student disability. Exceptionality, 26(2), 63–80. doi:http://dx.doi.org/10.1080/09362835.2016.1216849. Cooc, N. & Kiru, E. (2018). Disproportionality in special education: A synthesis of international research and trends. The Journal of Special Education, 52(3), 163–173. doi:https://doi.org/10.1177/0022466918772300. Cooc, N. (2018). Examining the underrepresentation of Asian American students in special education: Evidence from California. Exceptionality, 26(1), 1–19. doi:http://dx.doi.org/10.1080/09362835.2016.1216849. Cooc, N. & Leung, G. (2017). Who are "Chinese" language speakers in the United States? Examining differences in socioeconomic outcomes and language identities. AAPI Nexus Journal, 15(2), 137–165. Yang, M., Cooc, N. & Sheng, L. (2017). An investigation of cross-linguistic transfer between Chinese and English: A meta-analysis. Asian-Pacific Journal of Second and Foreign Language Education, 2, 1–21. https://link.springer.com/article/10.1186/s40862-017-0036-9#citeas. doi:https://doi.org/10.1186/s40862-017-0036-9. Cooc, N. & Kim, J. (2017). Peers effects on reading skills: A social network analysis of elementary school classrooms. Journal of Educational Psychology, 109(5), 727–740. doi:http://dx.doi.org/10.1037/edu0000166. Cooc, N. & Bui, O. (2017). Characteristics of Parent Center Assistance from the Federation for Children with Special Needs. The Journal of Special Education, 51(3). doi:10.1177/0022466917696285. Kiru, E. & Cooc, N. (2017). A comparative analysis of access to education for students with disabilities in Brazil, Canada, and South Africa. Journal of International Special Needs Education, 21(1), 1–11. doi:https://doi.org/10.9782/16-00024R4. Cooc, N. (2017). Analyzing racial disproportionality in special education using secondary data. SAGE Research Methods Cases. doi:http://dx.doi.org/10.4135/9781473970618. Cooc, N. & Yang, M. (2017). Underrepresented and overlooked: A review of Asian American children with disabilities. Multiple Voices for Ethnically Diverse Exceptional Learners, 17(1), 3–19. doi:10.5555/1547-1888.17.1.3. Cooc, N. & Yang, M. (2016). Equity and diversity in the distribution of teachers with special education credentials: Trends from California. AERA Open, 2(4), 1–15. doi:10.1177/2332858416679374. Quinn, D., Cooc, N., McIntyre, J. & Gomez, C. (2016). Seasonal dynamics of academic achievement inequality by socioeconomic status and race/ethnicity: Replicating and extending past research with new national data. Educational Researcher, 45(8), 443–453. doi:10.3102/0013189X16677965. Bridwell-Mitchell, E. & Cooc, N. (2016). The ties that bind: How social capital is forges and forfeited in teacher communities. Educational Researcher, 45(1). doi:10.3102/0013189X16632191. Quinn, D. & Cooc, N. (2015). Science achievement gaps by gender and race/ethnicity in elementary and middle school: Trends and predictors. Educational Researcher, 44(6), 336–346. doi:10.3102/0013189X15598539. Cooc, N. & Gee, K. (2014). National trends in school victimization among Asian American adolescents. Journal of Adolescence, 37(6), 839–849. doi:http://dx.doi.org/10.1016/j.adolescence.2014.05.002. Racial disparities in special education enrollment have been documented for the last several decades and many studies have explored factors that contribute to disproportionality. However, missing in the literature is often the experiences of Asian Americans. This line of research focuses on the underrepresentation of Asian Americans and how parent and teacher perceptions of disabilities may influence decisions about special education services. The academic outcomes of students with disabilities are consistently below those without disabilities. This area of research examines how the academic trajectories of students with disabilities relative to peers change from early elementary school to high school. An area of interest is how learning trajectories may change during the summer in the absence of school services. Students with disabilities eventually graduate or age out of school services provided under the Individuals with Disabilities Education Act (IDEA). Since the goal of IDEA is to promote successful postsecondary outcomes, this line of research focuses on when individuals first experience college, employment, and independent living.